Lara is a fully qualified Yoga teacher and a level 2 member of 'Yoga Australia' Association for Yoga Teachers. After having practiced Yoga herself for over 14 years, she started teaching in UK in 2007 and now teaches in Sunbury, Victoria. Lara has undertaken a three-year teacher training course at the ‘Devon School of Yoga’, UK, and graduated in July 2007. Subsequently, she has also attended numerous post- graduate Yoga courses with renowned teachers in UK and Europe, like Sandra Sabatini, Duncan Hulin and with her Kriya Yoga/Hatha Yoga teacher here in Gisborne, Australia, called Yogi Prakash Shankar Vyas. For more info on Kriya Yoga visit: www.kashikriya.com or www.kriyasource.com. Lara’s classes are friendly, creative and fun: she works holistically, making use of anatomical principles and expertise in yoga practice. 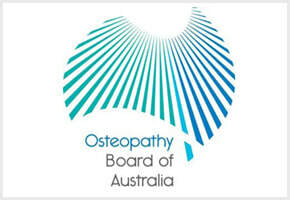 She combines knowledge of the body and care of spine and joints, being a UK trained and experienced Osteopath. Lara teaches Asanas (postures), Pranayama (breath work), meditation techniques (Dhyana) and Yoganidra/deep relaxation. She likes to inspire her students to explore their full potential, teaching in an uplifting and supportive manner. Lara continues her own personal yoga practice and is always happy to share her yoga experience with others. During classes students are taught that co-ordination of breath, movement, relaxation & stillness are all vital parts of yoga practice. Lara uses Eastern yogic wisdom with anatomical knowledge to explain the theory and practice of yoga, she can advise people about specific yoga exercises that may assist with musculoskeletal complaints, if students wish to do this in their yoga practice at home. Please contact Lara for further information. Yoga originated in India and is said to be around 5,000 years old, it is mentioned in the Vedic Shastras (Hindu religious texts) going back 4,000 years. The meaning of the word Yoga is ‘Union’, from the sanskrit root yuj, meaning ‘to join’ or ‘yoke’. The word Yoga is used to indicate a goal as as well as a journey to reach that goal. Ultimately, yoga ‘union’ means the union of the individual being with the universal soul or God. This union is the highest possible stage of spiritual development that a person can reach, it is ‘enlightenment’ or ‘self-realization’. As a whole, yoga is a comprehensive system of physical practices, breathing exercises and meditation which can improve wellbeing and release emotional or psychological blockages. As a result, energy is able to flow freely through the body giving vibrant health as well as greater awareness of both yourself and the world around you. What is ‘Hatha Yoga’ ? Hatha Yoga is a popular, well-know form of yoga around the world. It comes from a system of Yoga practices that provide tools for personal growth. ‘Ha’ represents the sun or ‘male’ energy and ‘tha’ represents the moon or ‘female’ energy. The conjunction of the two is Yoga (Union). Hatha Yoga is the name for the physical practices by which the body and vital energy can be brought under control. In a Hatha Yoga class, you can expect to be taught a combination of Asanas, Pranayama and Meditation. yoga offers the opportunity to help our bodies relax, gain strength and flexibility, enabling us to live a more focused and fulfilling lifestyle. Pranayama is often practiced in yoga classes, it promotes better breathing and involves breathing exercises and learning to focus on controlling the breath. Improved breathing brings more oxygen to the blood and brain. 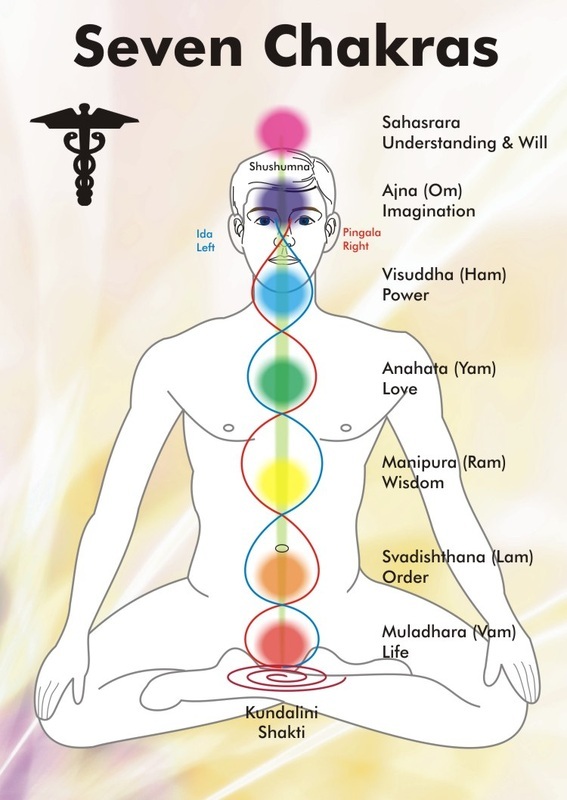 The word Pranayama consists of two parts: prana and ayama. Prana is energy and ayama means stretch, extension, expansion and regulation of breath. Being aware of the breath during practice is an important aspect of yoga. Being able to control your breath can help control your body and mind. 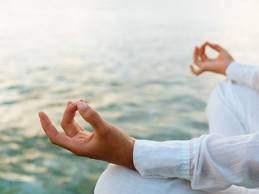 Meditation is an important principle of Yoga. It is where one is practicing sitting still, without moving, concentrating on and being mindful of the breath and observing the mind. It requires you to focus on one point, making your mind free of thoughts in order to promote relaxation. This is when you can be open to ‘God The Source’, to find stillness and a sense of peace. Practicing meditation will help you achieve a greater peace and inner strength. It is very beneficial to ‘sit’ and learn to quieten the mind, as this will result in improved clarity of mind and concentration. Through meditation it is possible to discover the tranquility and wisdom that lies within you. A few examples of health benefits from practicing yoga include, increased flexibility, strength and vitality. By stretching muscles and spine it is possible to gain improved spinal and joint mobility. There are many other benefits of practicing yoga postures and stretching exercises on a regular basis, please contact Lara for further details. "Why are you seeking happiness outside, where is there to go? Everything you seek is already inside of you." "Sow love, reap peace...Sow meditation, reap wisdom".